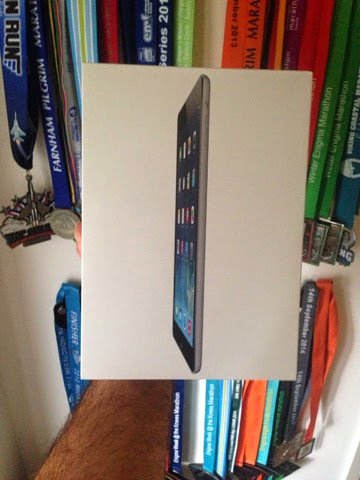 It gives me great pleasure to announce that not only is there a sparkling brand new iPad Air up for grabs, but now, thanks to White Star Running, a marathon place in one of their many races next year! 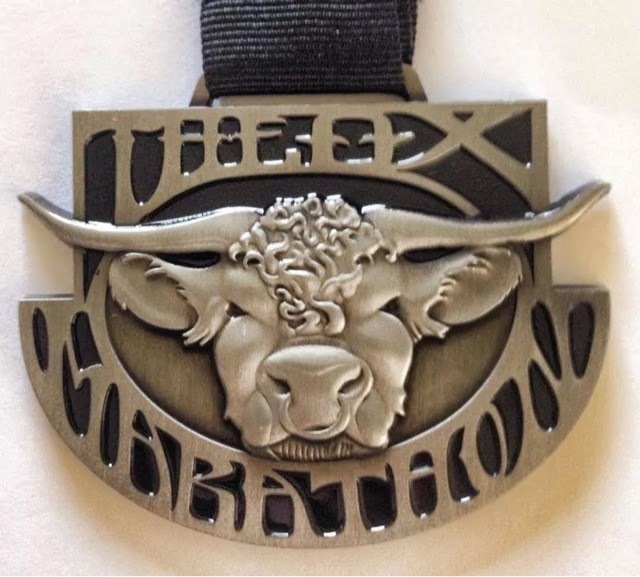 You can choose from the Iconic Giants Head Marathon with it's love station at mile 20, the Larmer Tree Marathon where you'll get to run around the beautiful Rushmore Estate, The Ox which has an Ultra option and a medal to nearly die for! 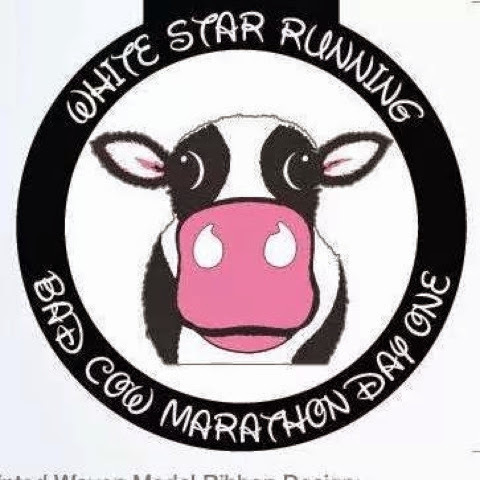 Or the shiny new for 2015 Bad Cow Marathon which sees marathon running back in Poole, Dorset. All you need to do, is visit here www.justgiving.com/Dennis-Cartwright10 donate at least £1 and your name will go in the hat! £10 gets your name in the 10 times etc.. If you've already donated, you'll be automatically added to the draw, but please feel free to add more. 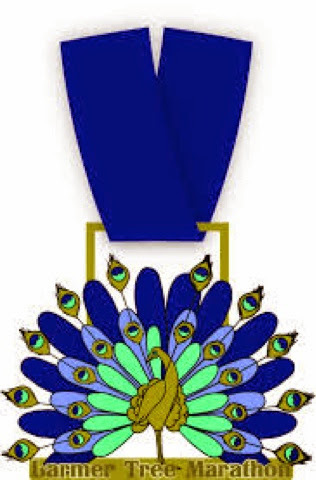 More prize's will be added as 2014 comes to a close so please keep an eye out here! The IPad in it's shiny packaging! 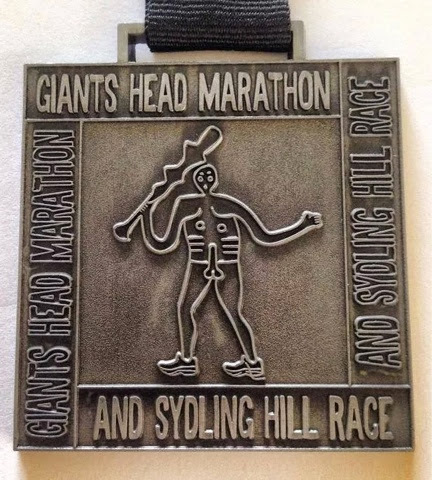 The wonderful Giants Head medal!